Posted by index on January 26, 2018 . Leave a comment. Greek centre-back Kostas Manolas has said that Roma must produce their best performance of the season if they are to come up triumphs against Lazio in the Derby della Capitale. The Giallorossi have won nine of their 11 matches this term and the form sees them just five points behind leaders Napoli with a game in hand. In the lead-up to the Lazio game, the Giallorossi defender urged his teammates to give their best showing of the campaign in order to beat their Capital rivals, he said: “We must give our heart and our playing style, so hopefully at the final whistle we will be the winners. 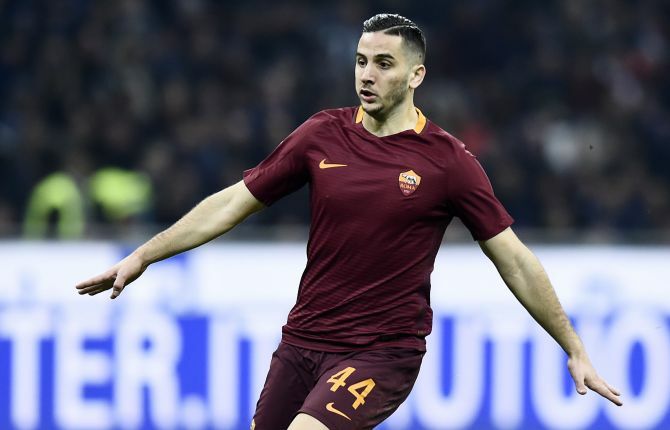 Manolas suffered a huge disappointment earlier this month after Greece failed to qualify for the World Cup via the playoffs, but his focus appears back on track as the Giallorossi aim to lift their first Serie A title since the 2000/01 season. Juventus have dominated proceedings in each of the previous six campaigns, but the league has got more competitive this campaign with Inter Milan making significant progress under the tutelage of ex-Roma boss Luciano Spalletti. Following the Lazio clash, Roma face relegation-threatened clubs Genoa and SPAL in the next two outings, and they could put pressure on leaders Napoli by going on a long-winning streak. Meanwhile, Manolas’ future still remains a topic of speculation with his existing deal due to expire in June 2019. The Greece international has yet to extend his contractual terms despite numerous discussions through the calendar year, and he could yet be lured by the likes of Arsenal and Chelsea, who are deemed to be long-term admirers of his services.